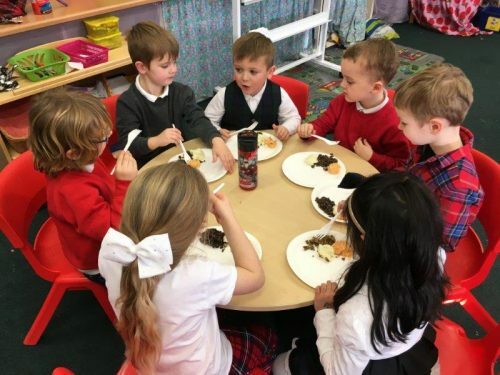 Primary 1B have enjoyed taking part in a variety of STEM activities once a week. 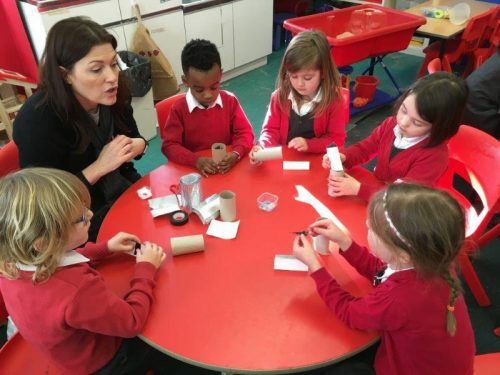 Last week, we made kaleidoscopes. 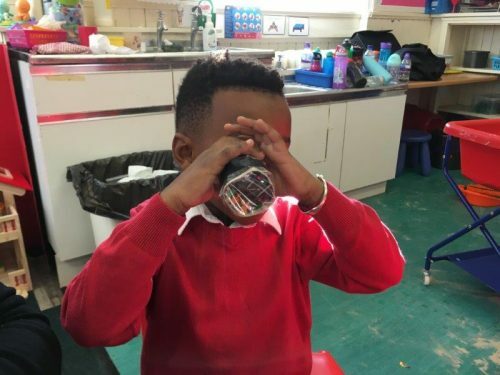 This fitted in really well with our school Scots week – did you know the inventor of the kaleidoscope was Scottish? 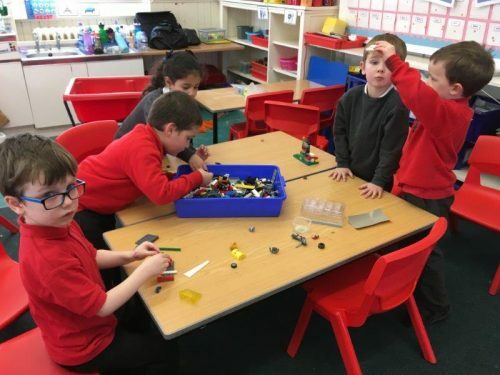 We enjoyed making new inventions out of Lego, and talking and drawing about them. 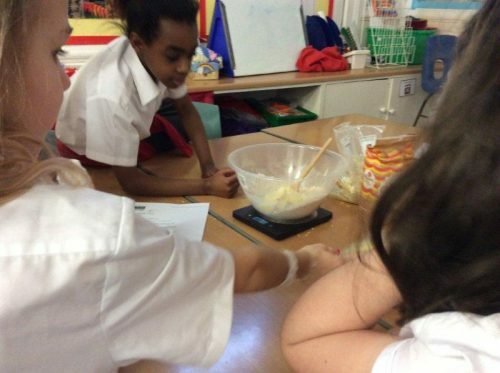 We also made gloop from cornflour and water! 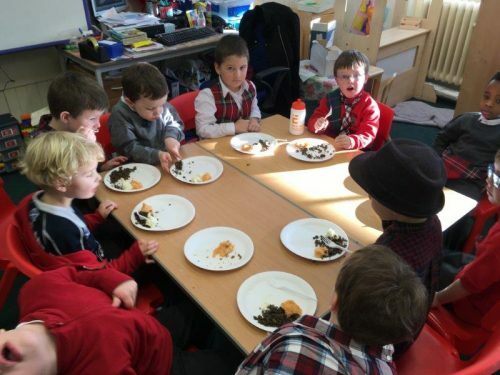 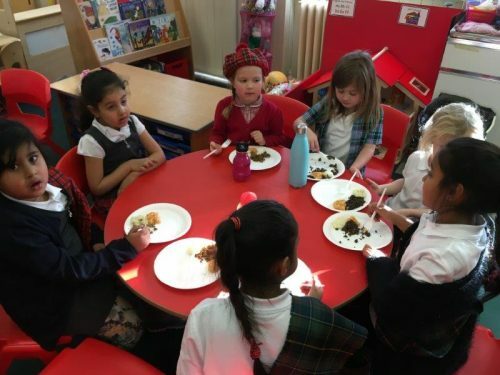 Primary 1 enjoyed sampling haggis, neeps and tatties on the 25th of January, in celebration of Burns Night. 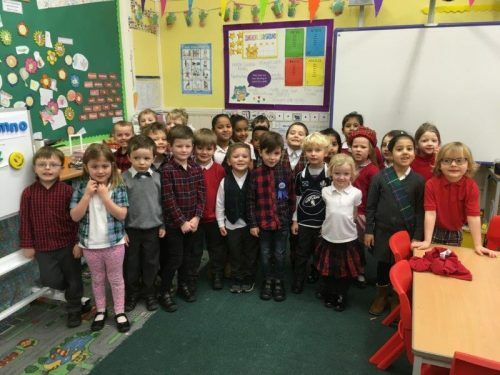 We loved dancing around the classroom to some traditional Scottish music, and all dressed the part in different forms of tartan. 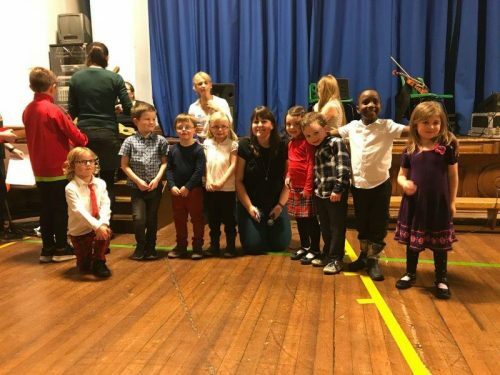 We even finished with Auld Lang Syne. 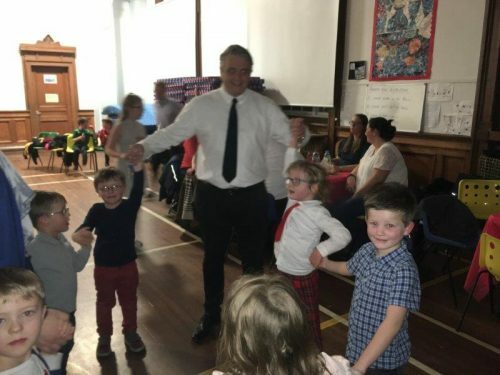 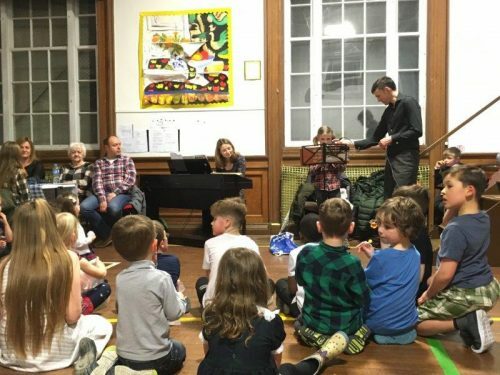 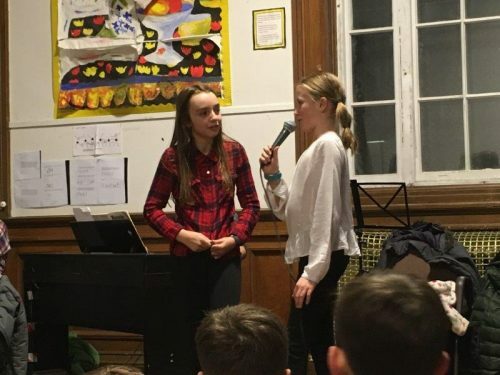 A big thank you to our Parent Council for organising another Family Ceilidh in celebration of Burns Night. 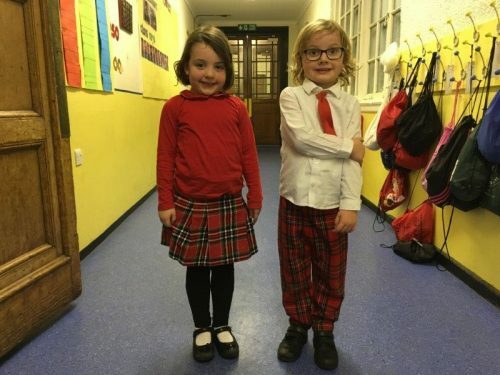 Well done to all our pupils who performed, as well as those who danced the night away in their traditional dress. 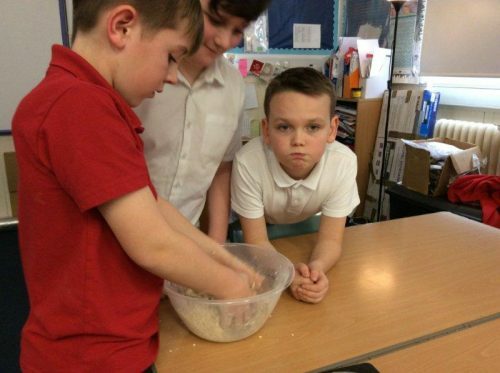 Primary 6B followed a recipe to bake oatcakes as part of Scot’s week. 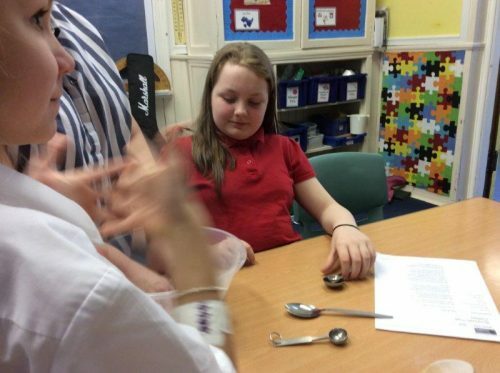 We were so impressed with the outcome on Monday we made some more on Tuesday to sell at the parent council ceilidh! 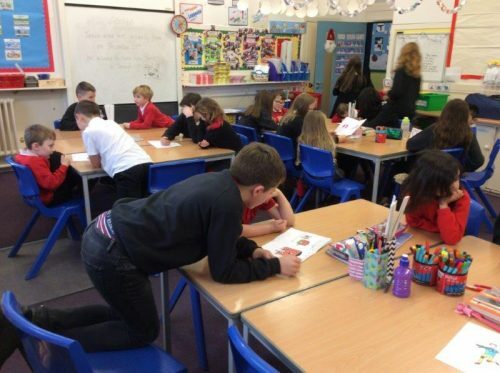 Every Friday morning P7A and P2 meet to do Reading Buddies together (as well as meeting every day to do our daily mile!) 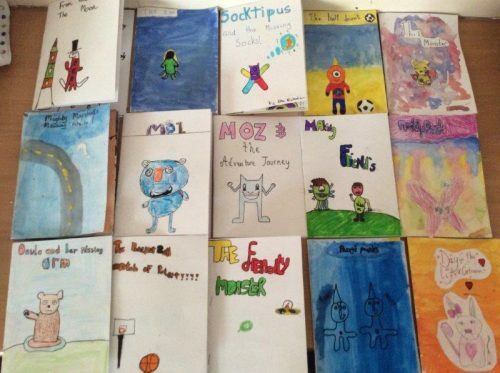 At the end of last year P7 created picture books for their buddies. 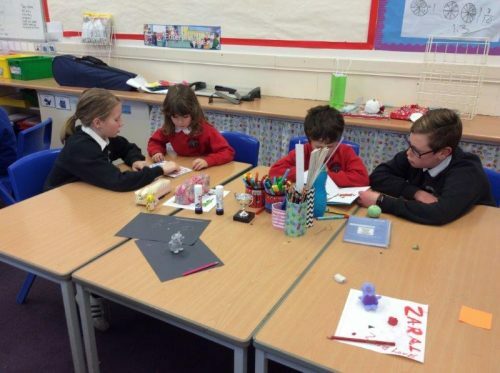 We used the John Lewis advert about Moz the Monster as our stimulus and created our own monster stories. 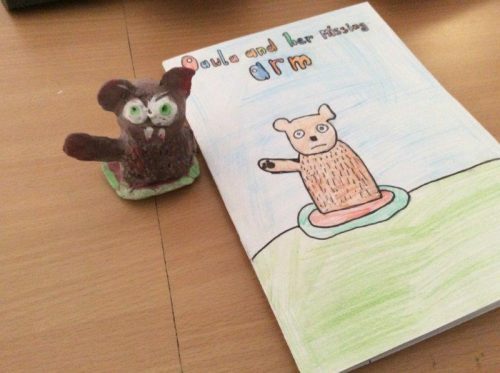 We made clay model monsters to develop our characters. 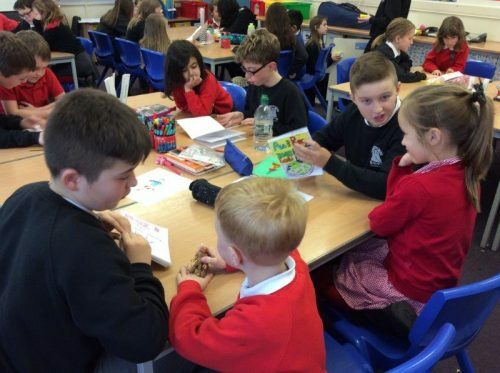 We then gave our picture books to our buddies as Christmas presents. 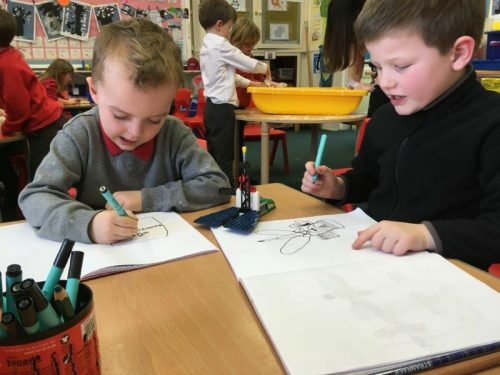 We really enjoyed sharing the books with them and the P2s were really excited to receive their own handmade book! 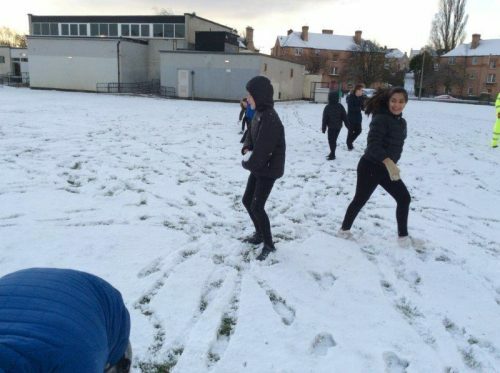 P7A PE in the Snow! 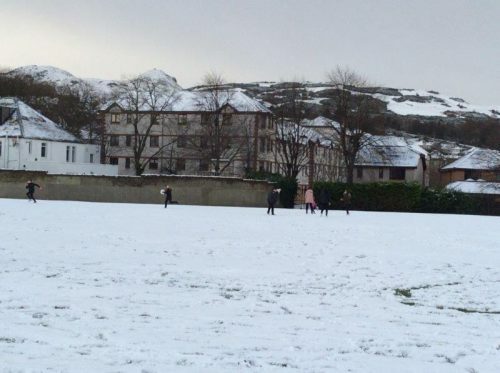 P7A were very excited to wake up to find that there had been quite a bit of snow overnight! 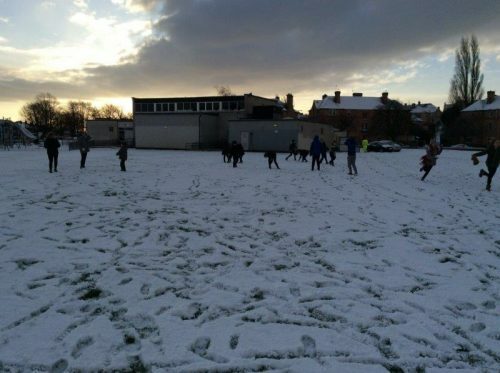 We decided to take our PE lesson outside. 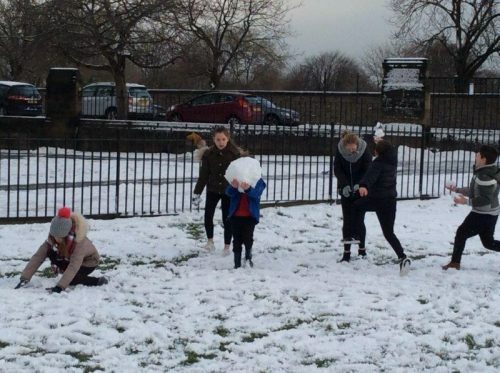 During our snowball fights and building snowmen we were learning about catching, throwing, dodging, problem solving and team building. 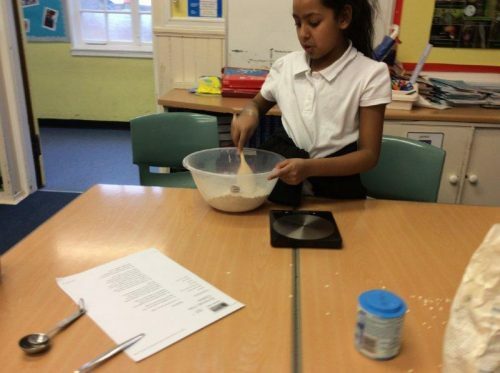 Though a bit cold and wet we all had a great time! 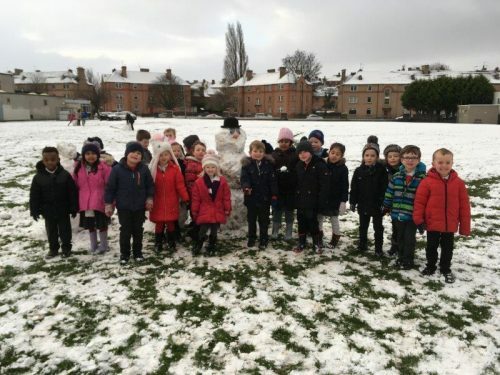 P1B have fun in the snow. 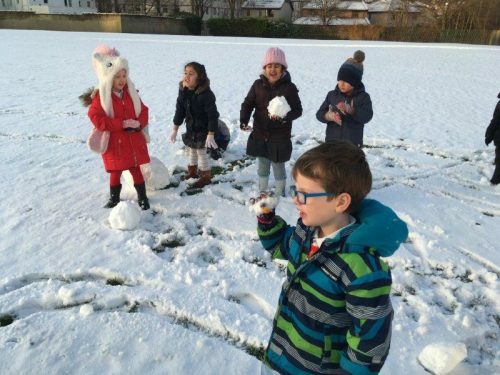 Primary 1B were really excited to come to school to discover that our playground had turned white overnight. 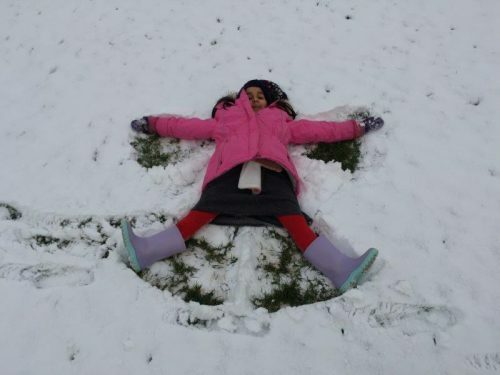 We had a great time building snowmen, making snow angels and throwing snow balls. 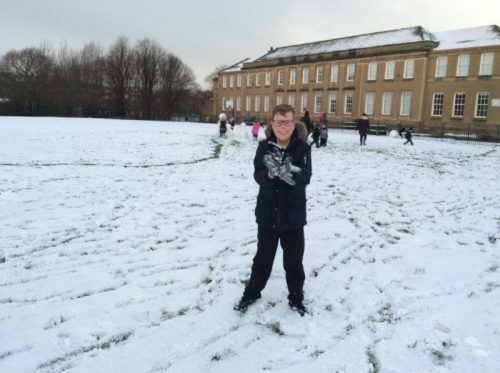 Some of us had never played in this much snow before! 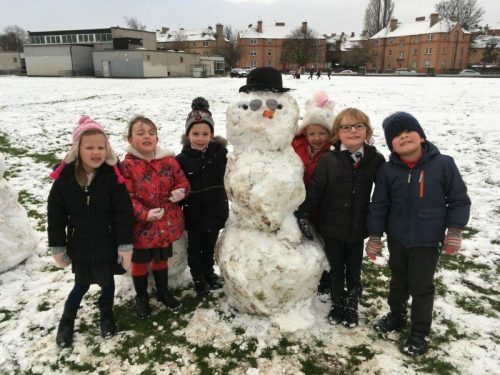 It’s a good job we put sunglasses on our snowman, because the sun came out and by lunch time the snow had nearly all melted!